Hmmm, it sure sounds like Donald Trump is in talks with "Saturday Night Live" about a surprise appearance. Ahead of the show's October 3 season premiere, Trump is being uncharacteristically coy about the possibility. When asked by CNN host Alisyn Camerota, "has 'SNL' asked you to go on this season? Would you consider it?" 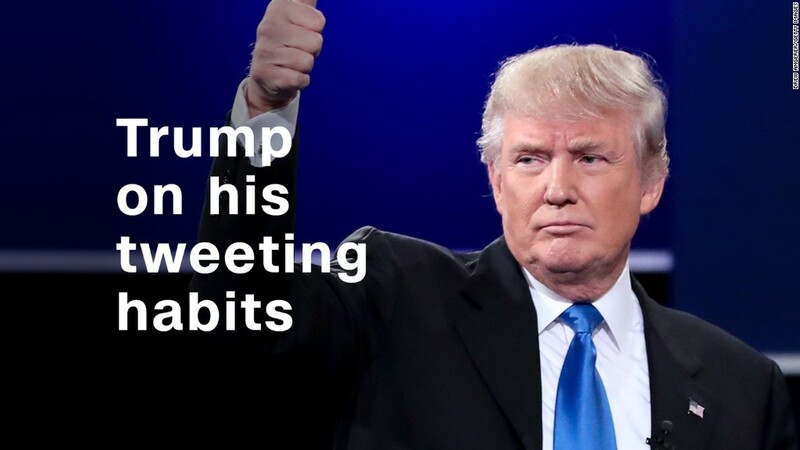 Trump answered cryptically: "I'm not allowed to say that." Camerota responded: "Oh really, why is that?" "Because I'm not allowed to say that." She pressed: "Because... you're in negotiations with them?" "I'm just not allowed to say it. I mean, I have-- uh-- silencio. I can't speak about it." Before moving on, Trump dropped a hint: "Perhaps you understand what that means." Yes, when celebrities and candidates are talking with NBC about stopping by "SNL," there's oftentimes a veil of secrecy. 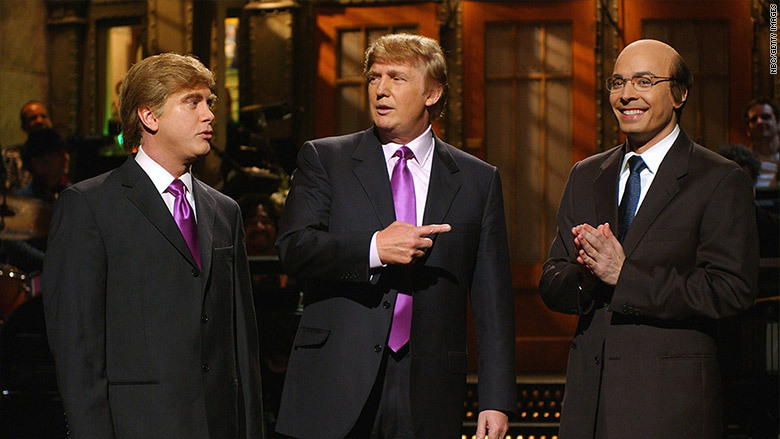 Donald Trump on "Saturday Night Live" in 2004. "SNL" would no doubt love for Trump to appear as himself in a sketch this fall -- perhaps right alongside cast member Taran Killam, who will be impersonating Trump. It would be a valuable forum for Trump, the businessman and reality TV star turned presidential candidate. The choice of Killam was reported over the weekend. Camerota, who interviewed Trump on CNN's "New Day" Thursday morning, asked Trump about it, and he said "I look forward to that. 'SNL' is terrific. I hope he does a good job." He added, "I'm not sure that I'll like it. But you know what? If I don't like it, I'll let you know!" Related: Trump says "I have very thick skin"
Trump, whose TV credits include NBC's "The Apprentice," guest-hosted "SNL" back in 2004. He also attended its 40th anniversary celebration at Rockefeller Center in February. 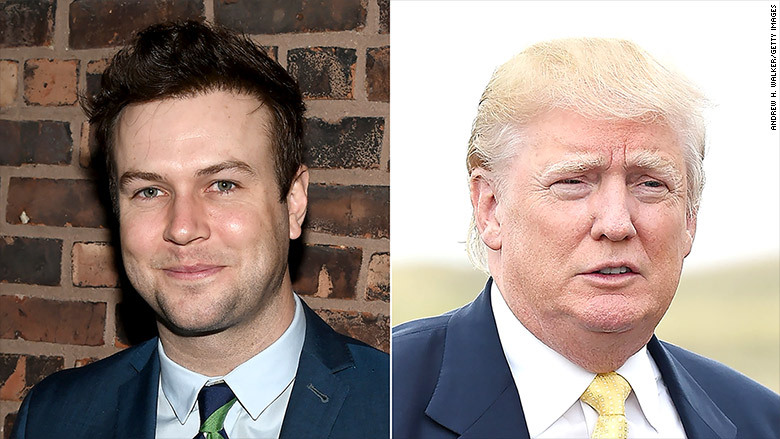 Taran Killam will play the outspoken Presidential Candidate, Donald Trump, on this season's "Saturday Night Live."